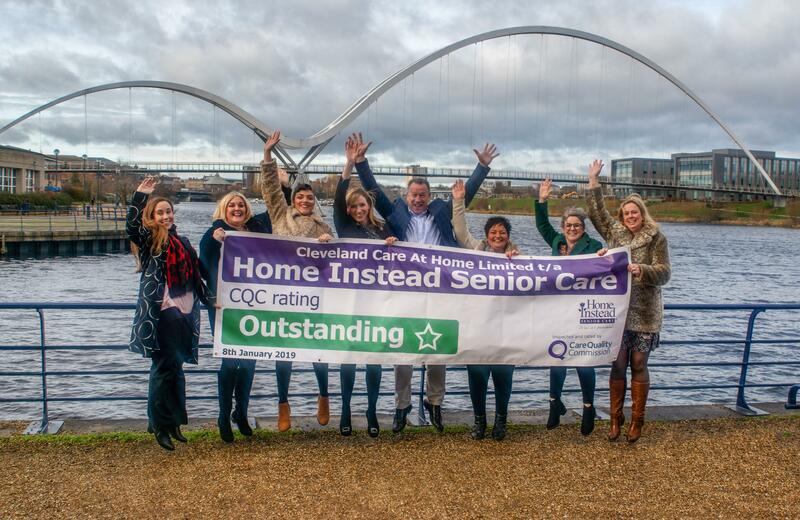 The achievement is all the more impressive when you learn that just three percent of home care providers inspected in England have received the highest ‘outstanding’ rating from the independent care sector regulator. The Cleveland office, based in Stockton-on-Tees, was set up in 2014 by former Stockton Rugby Club player, Gavin Morrigan, and his partner Michelle Fairless. Inspectors noted that ‘staff were very dedicated to improving people’s wellbeing and worked hard to enhance their lives,’ documenting numerous instances where members of the Home Instead team had gone above and beyond the call of duty to do just that. Gavin and Michelle are no strangers to receiving honours for their work. Home Instead Cleveland has previously won a Community Minded Business Award from the Police and Crime Commissioner of Cleveland. They also received the award for Outstanding Contribution to the Borough of Stockton-on-Tees at the Mayor’s Service to the Community Business Awards. Commenting on the outstanding rating, Gavin Morrigan said, “We are delighted with this latest achievement as so few companies have been awarded an outstanding rating. Michelle and I are immensely proud of what the team has achieved. The Outstanding Rating CQC report can be viewed here.